To complement the Research Reports in the August 2014 issue of MASSAGE Magazine. Summary: Reiki practitioners provided services to adults being treated at a cancer center, as well as adults being treated in other areas of the same university hospital. Both groups reported an improvement in their symptoms after receiving reiki, with the cancer-center participants specifically citing improvements in common cancer-related symptoms including pain, mood disturbances, and feelings of isolation and loneliness. Individuals at a cancer infusion center reported improvement in cancer-related symptoms after receiving reiki treatments. The study, “Symptomatic Improvement Reported After Receiving Reiki at a Cancer Infusion Center,” involved the administration of volunteer reiki services on adults in a university hospital to evaluate reiki’s benefits. For six months, reiki practitioners served as volunteers at a university hospital. During that period of time, 20 volunteer reiki practitioners provided recipients with a total of 683 hours of reiki services. Recipients were given voluntary satisfaction surveys in which the perceived symptomatic changes from reiki treatment were rated. “Changes in pain, mood, distress, sleep and appetite were rated on a 5-point scale from no benefit to great benefit,” stated the study’s authors. The surveys were numbered in order to establish the response rate. Of the 420 surveys distributed, 145 were completed and returned. Returned surveys were attributed to 47 participants from the cancer infusion center and 98 participants from other areas of the hospital. Results were similar for both participants who had not had any previous experience with touch therapy and those who had been exposed in the past to touch therapy, such as massage and reiki. A total of 93.6 percent of participants from the cancer center rated their overall reiki experience as positive, while 92.9 percent of participants from other areas of the hospital produced a positive experience rating. A total of 91.5 percent of the cancer center participants indicated they would be interested in receiving reiki services in the future, with 85.7 percent of participants from other areas of the hospital stating the same opinion. In regard to the rating of symptomatic improvement, similarities were also seen between cancer center participants and participants from other areas of the hospital. 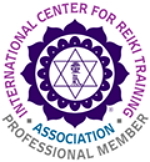 The surveys’ data illustrated “a broad range of symptomatic benefits with reiki, including improvements in common cancer-related symptoms such as pain, mood disturbances, and isolation/loneliness,” the authors stated. Interpretation of data was limited by the fact that the surveys were anonymous and voluntary. “Surveys were completed and returned by a minority of individuals, who may have been those who experienced a more extreme response,” the authors noted. Sources: University of Pittsburgh Medical Center, Pittsburgh, Pennsylvania; Drexel University College of Medicine, Philadelphia, Pennsylvania; and Allegheny General Hospital, Pittsburgh, Pennsylvania. Originally published in 2012 in American Journal of Hospice and Palliative Medicine. Authors: Dawn A. Marcus, M.D. ; Betsy Blazek-O’Neill, M.D. ; and Jennifer L. Kopar, C.A.V.S.